A heat pump is a part of your heating and cooling system that sits outside of your house and uses outside air to both heat and cool your house. Without a heat pump, you wouldn’t be able to maintain a comfortable home. While it sounds similar to a furnace, a heat pump transfers warm air from one area to another. A furnace burns fuel to create heat. Oftentimes you need heat pump service when dealing with common problems that can be caused by a heat pump malfunction. Unfortunately, the wild winter we’ve had in Gaithersburg has not been kind to your HVAC system- let alone your heat pump. Learn about these five common problems you could encounter with your heat pump. This winter season in Gaithersburg has been particularly brutal with cold temperatures and lots of snow, ice, and rain. Basically, you name it we’ve had it. Unfortunately, that means your heat pump has taken a beating when it comes to ice. It’s normal for your heat pump to accumulate a small layer of ice on top of the pump and heat coils. Occasionally the pump will go into defrost mode to rid itself of the ice layer. You can get into trouble when a large layer of snow and ice accumulates on top of your heat pump. If the layer is too thick, the defrost mode won’t be able to get rid of the snow and ice, leading to overheating and potential breakage to fragile heat coils. If there is a thick layer of ice on top of your heat pump, do NOT attempt to chip away the ice. This will only lead to broken heat coils and you will need a heat pump service. If you need to defrost the heat pump, use warm water and a hose to defrost the area. Parts of downtown Gaithersburg can be quite noisy, with traffic, pedestrians walking barking dogs, and the occasional downtown concert. 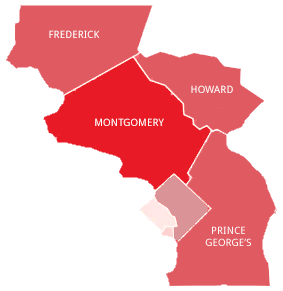 If you live in one of these areas, you may not always hear your heat pump. But if you do start to hear your heat pump making odd noises, it may be time for a heat pump service. 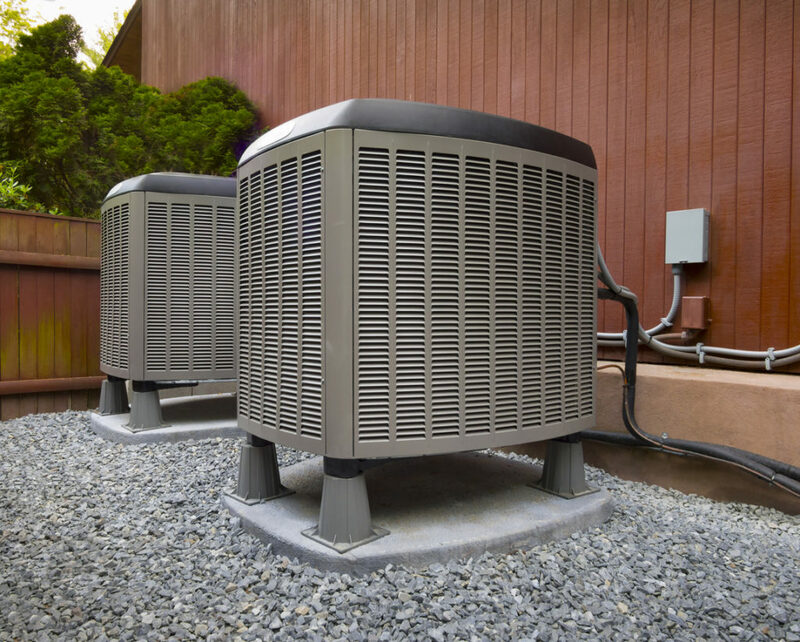 Depending on the noise your heat pump is making, it could mean anything from just loose hardware to needing a part replacement. To rule out a few common problems, make sure the cover panels are screwed on tightly and look around for loose parts or anything near the heat pump that could be making the rattling noise. However, if your heat pump is making a grinding or squealing noise, turn off the heat pump to avoid damaging the machinery. Noises like these could indicate worn-out motor bearings. In order to have it diagnosed call your technician for a heat pump service. With a polar vortex looming nearby, it’s been a little too cold in Gaithersburg for your heat pump to stop putting out heat. When your heat pump isn’t putting out heat, dirty air filters or a clogged duct could be to blame, especially if the decline in heat has been gradual. Make sure you’ve had your filter changed every three months at a minimum. This can help prevent dirty filters and ensure appropriate heat production. Heat pumps run on refrigerant. Without the right flow of refrigerant it may not be able to transfer heat. While you may be tempted to refill the refrigerant yourself, call your technician for a heat pump service instead. Refrigerant is a toxic substance that needs to be handled appropriately. It’s also worthwhile to check and see if any registers are blocked by furniture, drapes, or rugs. Your heat pump could be overheating when you notice it cycling off and on more often than usual. Incorrect cycling could be caused by a dirty or clogged air filter that isn’t allowing for proper air flow. Cleaning the air filter should solve the problem. However, if your heat pump still continues to cycle you could have a problem with your thermostat. Thermostat issues could be something as simple as it needs new batteries or is out of adjustment. Ensure it’s set to the appropriate temperature and isn’t too high or low. But if it’s more complicated than this, it’s best to call for a heat pump service. Also consider the conditions outside. If temperatures are extremely cold, your heat pump will have to work harder in order to maintain a comfortable inner air temperature. If your heat pump starts blowing cold air, don’t immediately assume the worst. Your heat pump could currently be defrosting ice on top of the heat coils and will switch back to warm air pretty quickly. However, if it doesn’t blow warm air pretty quickly, than try switching your thermostat to emergency heat- or five degrees above room temperature. If you feel warm air, then the problem is with the outdoor unit. However, if you don’t feel warm air you could have a problem with your thermostat and its best to call for a technician. If there’s ice forming on the outdoor unit’s coil, you could be dealing with a defective defroster timer or control module. If you notice this happening, then it’s time to call for a heat pump service. They’ll be able to properly diagnose and solve the problem. Not all heat pump services are the same. Rod Miller Heating and Air Conditioning prides itself on offering high-quality service you can trust to be in your home even when you’re not. If you need help with heat pump, get in touch with us today. We offer financing and specials to make quality HVAC repair affordable.